Launching an ecommerce website nowadays is fairly simple; thanks to the technology! But on the other hand, making profits from your online venture is not that simple. Running an ecommerce website successfully requires incorporating various consumer-centric features & devising an effective marketing strategy. 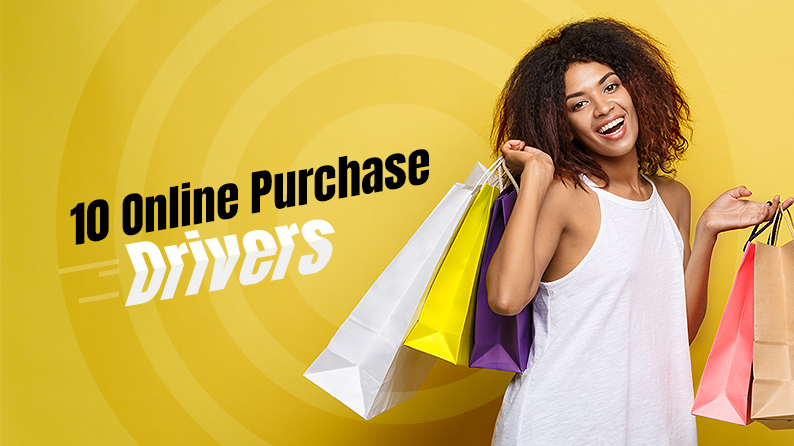 Shopping has shifted from physical stores to e-commerce websites, which makes one thing clear that customers prefer a convenient shopping experience. However, not all customers are ready to trade it with extra expenditure on delivery. So, offering free shipping automatically earns you customers’ loyalty. But if providing free shipping on all orders doesn’t seem like a feasible option, you can offer it only on orders whose value crosses a minimum threshold amount. In the age of same-hour, same-day deliveries, customers tend to be a bit impatient. When they see a 2/3-week long delivery frame, they simply switch to another website. So, as an ecommerce store, it is imperative that you build a delivery network, quick & efficient to gain more & more orders. Fact: When the shipping cost is too high 28 percent of shoppers abandon their shopping cart while shoppers spend 30 percent more per order when delivery is free. Discounts and coupon codes can drive a lot of sales for an ecommerce website. Discounts not only encourage customers to choose your store over competitors, but also engage loads of impulsive buyers who buy things they don’t particularly need just because they are on sales. This in effect, also increases the average order value of your online store. Fact: More than 70% US internet users claim discount have the biggest effect on purchase decision during holidays. The checkout page is one of the most important pages on an e-commerce website – and this is where delivering a rich user experience matters the most. Naturally, when a customer selects a particular product, he wants the process of buying it to be quick and easy. Nobody wants to fill those long forms & wait during those long page loading seconds. Therefore, checkout should be swift & with minimum inputs from customers’ end. Offering guest checkout is another proven way to boost sales. Fact: Around 68% of all e-commerce visitors abandon their shopping cart at some point in time but 63% of this is recoverable only by optimizing the checkout process. Physical or online store, no customer wants to get lost as soon she enters/lands on it. Quite often, ecommerce store’s homepage is flooded with lots of product categories & products on display – overdoing it can confuse the customer. Your store should have an intuitively placed navigation for product categories. Also, the search tool should be robust enough to help customers reach the desired product quickly. Besides that, on product & category pages there should be some product recommendations, which can help you in making some extra money. Fact: As much as 60% customers won’t return to your store if they’ve had a bad experience on your website. Fact: While there are no hard facts in this regard, however, different studies and store’s personal experience have found a boost in sales through psychological pricing. Shoppers choose to pay for their online purchases in different ways. Some are comfortable sharing their credit card details, while some prefer cash on delivery. Others, more tech-savvy ones, use digital wallets to remove any hassles from the checkout process. Apart from that, in different geographies, different payment options are preferred. Ecommerce businesses should keep that in mind and embed payment options on their website accordingly. Fact: Around 50% shoppers cancel their orders if their preferred payment method is not available. With all the data breaches happening across the world, online shoppers today are concerned about providing their personal & credit details more than ever. So it has become imperative for ecommerce store owners to ensure customers a secure shopping experience on their website. For this, implement multi-layer security on the website to protect customers’ details and integrate with only the most trusted payment gateways with your store. Fact: Around 1 in every 5 consumers say they won’t shop from an ecommerce website that was infiltrated by cyber hackers. Customers usually have a lot of queries about the product they want to buy. In offline stores, there are store representatives at every aisle, but such a concept is not applicable in case of online stores. 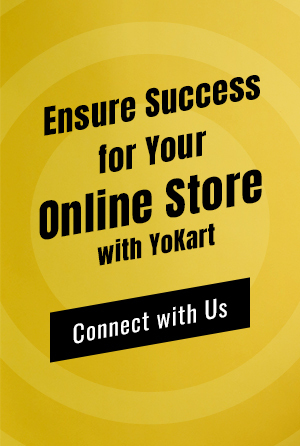 To curb this challenge, online store owners should offer a live chat feature that allows customers to interact with a store representative get those queries resolved. Also, make sure that the icon for the live chat is available & visible to the customer all the time on the website. Fact: Live chat has recorded the highest level of satisfaction in customers for e-commerce website with 73% compared to 61% for email and 44% for phone. Offline or online, word of mouth promotion is the best of all marketing tactics. In the virtual world, ecommerce brands can leverage this marketing silver bullet in many ways. Hosting product reviews & ratings is certainly helpful in this context, as reviews impact buying decision of most online shoppers. Other than that, easy social media sharing is the other big catalyst for the online word of mouth marketing. Make sure that your ecommerce store has both these features embedded to attract customers and produce sales. Fact: 77% of consumers are more likely to buy a new product when learning about it from friends or family. Quite often, customers tend to return or exchange the products they have purchased. The reason could be anything – wrong product/size delivered, impulsive buying, late delivery, and so on. To ensure that such instances don’t leave a bad impression on customers about your store, keep a well-defined, consumer-centric return/cancellation/exchange policy for your ecommerce store. Also, make sure that you proactively let customers know about these policies in order to avoid any misunderstanding between your business & customers. Each & every strategy that we have discussed in this post provides value to the customers in one way or other. So, the simple mantra to run a successful ecommerce business (on any other business for that matter) is to keep in mind customers’ needs & expectations towards you, and provide them with the right features & services – yes, the sales trigger discussed above. Not only do they boost sales, but also help you progress further as a strong player in the market.